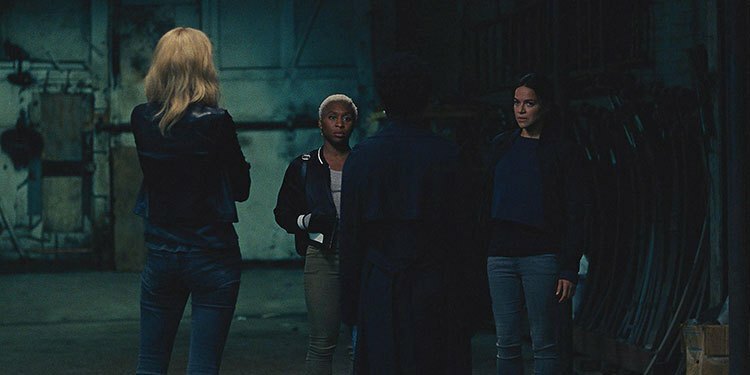 An adaptation of Lynda La Plante’s novel, Steve McQueen’s latest movie is an odd beast indeed, quite formal in its approach, but with occasional directorial flourishes to remind the viewer that this isn’t just a heist movie, it’s a serious heist movie, unlike, say, Ocean’s Eight (2018). Here, lives are at stake, and the cost of failure is unthinkable. It’s a dour, earnest movie that explores notions of sexism, political expediency (care of a subplot surrounding a ward campaign involving Farrell’s reformist alderman versus Henry’s aspiring gang boss), proto-feminism, spousal betrayal, and personal legacies. 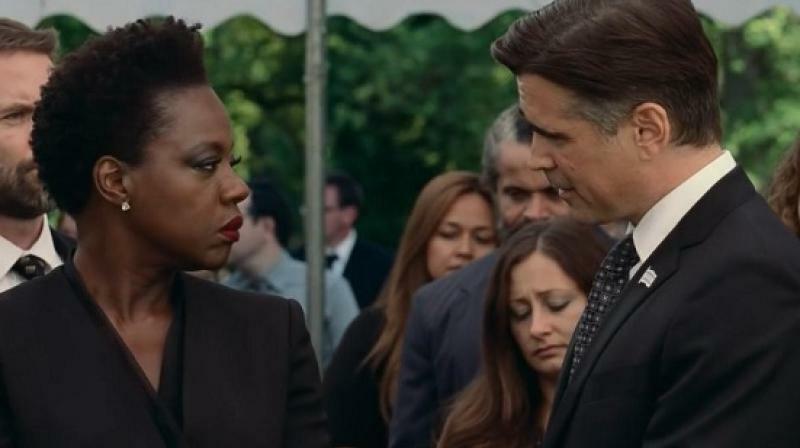 The script, by McQueen and author Gillian Flynn (Gone Girl, Sharp Objects), is adroitly constructed, but though the pair have worked hard to bring the characters to life and present them against a credible backdrop (well, as credible as these kinds of movies can manage), there’s not much here that will either come as a surprise, or which doesn’t follow in an expected order. Even if you’re not familiar with La Plante’s novel, or the original British TV series, the few twists and turns in the narrative won’t have much of an impact, and getting through the movie almost becomes a tick box exercise. That’s not to say, however, that the movie is bad, or disappointing, just oddly straightforward and dramatically sincere without ever rising above the expectations of the genre. Perhaps this kind of story has been told too many times before for McQueen to provide us with anything fresh or new. And there’s the small matter of Davis’ and Debicki’s characters having more screen time than Rodriguez’ and Erivo’s. This lop-sided approach to the main quartet seems a little counter-intuitive in a movie that seems to be promoting female solidarity, and often, some character beats are cut short in order to move on to the next phase of the heist and its planning. On the agnate side, the likes of Duvall, Kaluuya and Dillahunt are saddled with perfunctory, under-developed secondary roles, while Farrell does his best to make sense of a character whose ambivalent motives rarely make sense. Thankfully, Davis and Debicki are on hand to provide two excellent performances. That Davis is so good is a given, but it’s Debicki who shines the most, imbuing Alice with a steely survivor’s determination to make life better for herself that is both complex and credible; whenever she’s on screen, she holds the audience’s attention in a vice-like grip. That the rest of the movie doesn’t manage to do this, is again, something of a surprise, but in playing out as expected, it doesn’t disappoint entirely. Instead it’s a respectable effort that isn’t as memorable as we all might have hoped. 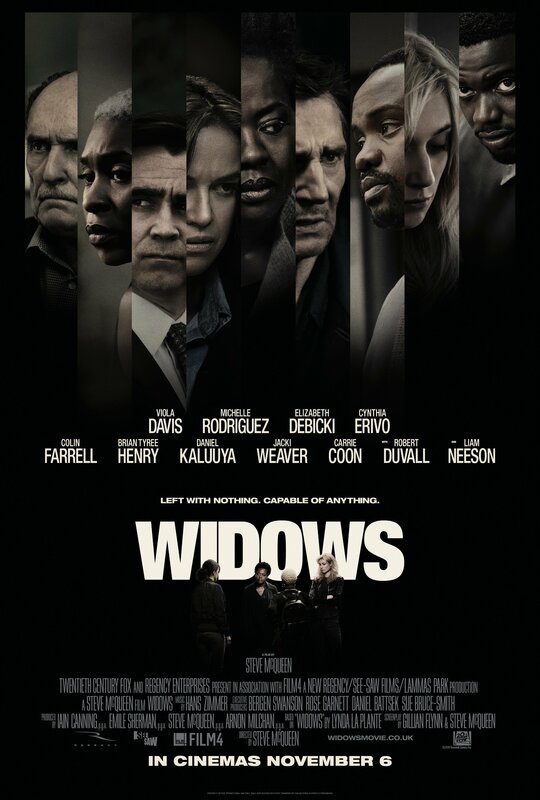 Rating: 7/10 – despite all the effort and all the talent involved, Widows lacks the kind of verve needed to make the thriller elements thrill, and the dramatic elements resonate; McQueen directs as if his brief was to be a pair of safe hands, and though it’s technically well put together, somewhere along the way, any idea of elevating the material doesn’t appear to have been acted on.